Opplev Oppdal offers rafting tour on the Driva River. We offer tours at varied levels, so that the everyone can experience whitewater rafting on this beautiful Norwegian river. The thee levels are easy, moderate, and advanced, otherwise known as the Family rafting tour, the Normal Rafting tour, and the Gråura expert tour. These tours are categorized by difficulty based on the river grade and water level, and have corresponding minimum age requirements. All of these tours are a memorable outdoor experience with exciting rapids and beautiful scenery. This is a diverse and exciting whitewater rafting tour suitable to first timers and thrill seekers alike. The trip begins on relatively calm water and the difficulties increase as you paddle down the river. 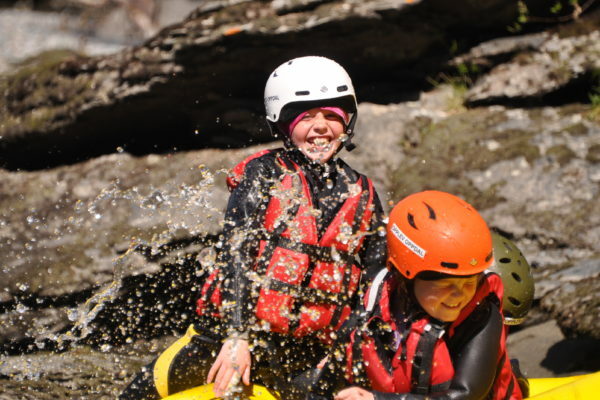 You will experience a variety of exciting rapids including Pyramid Rock, Hakka, Ålma Drop, Shark’s Mouth, Flip Hole, Gyda’s Rock, Bridge Rock and the Beach Boys. You can even try cliff jumping on this tour. Minimum age requirement 12 years when Grade 3 and accompanied by a parent, 15 when Grade 3/4, 18 at high water levels. Participants must be able to swim and be of normal, good health. No previous experience required. 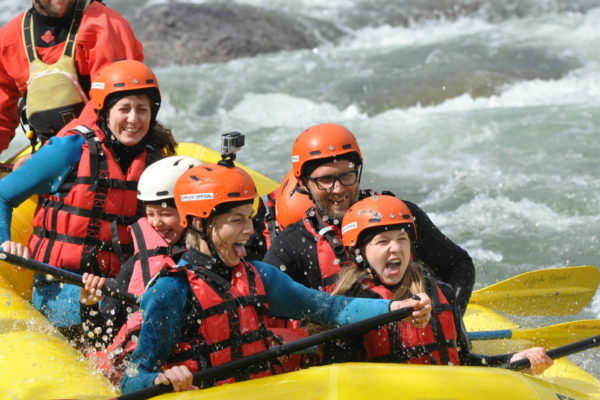 The family rafting tour is a gentle tour through the historical Driva Valley (ca. 4 km). After meeting at the Rafting Center, we get changed, have safety briefing and learns how to paddle. The tour begins as a gentle float with small interspersed waves. The biggest rapids come in the end! We allow as much swimming as possible, depending on the water level, temperature and desires of the participants. A cliff jump is offered when water levels allows it. Bring the whole family, no previous experience required! This is the tour for school trips when the students are under the age of 15. This tour offers rafting at its highest difficulty (grade 4-5); the ultimate raft trip for the experienced rafter. The tour follows the dramatic canyon between Ishoel to Liahjell and contains unique and difficult rapids. This section of river is technically demanding rafting with challenging lines – but is an unbelievably rewarding adventure. After a challenging warm-up you arrive at the the first major rapid, The Sphincter, your first test!. This rapid somewhat resembles the barrel rafting scene from The Hobbit. Only available at lower water levels, normally around the end of July/beginning of August. Due to water levels this tour may not be available every season. Minimum 8 participants per departure. Participants must have previous rafting experience, be able to swim and be of normal, good health.